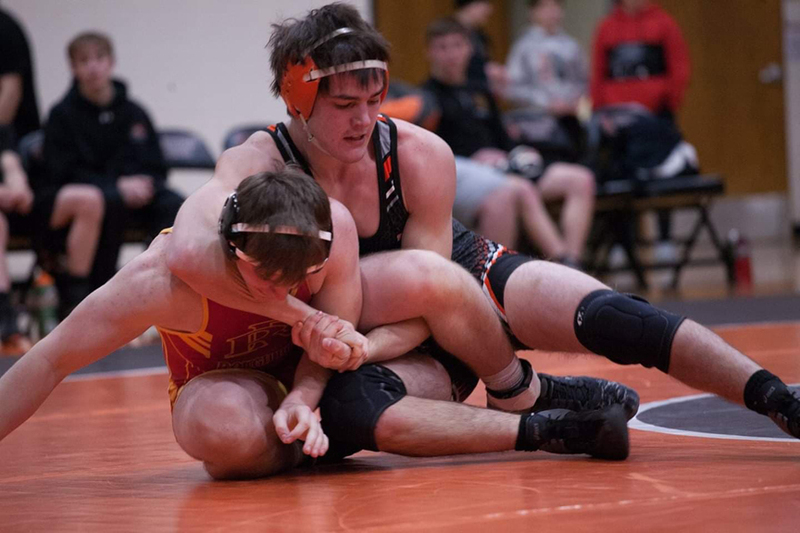 The Dell Rapids Quarrier Wrestling program had two wrestlers place at the 2019 South Dakota State A Wrestling Tournament in Rapid City. Andrew Weiland finished 8th in the 106-pound weight class, and Jacob Vogel had a 4th place finish in the 113-pound weight class. The Quarriers finished with a total of 26.0 points and tied for 21st place as a team. Rapid City Stevens won the team title with 162.5 points and Pierre T.F. Riggs was second with 133.5 team points. A-106: Andrew Weiland (33-9) scored 6.5 team points. A-113: Jacob Vogel (39-5) scored 14.5 team points. Two of the seven Quarrier wrestlers advanced to Saturday’s final day at the 2019 South Dakota State A Wrestling Tournament in Rapid City. Jacob Vogel and Andrew Weiland will be representing Dell Rapids on the final day of the tournament. Vogel won both of his matches and will be in the semifinals. Weiland lost his opening match, but battled back to earn two wins to advance in the wrestle-back side of the bracket. Canyon Lowman, Max Lamer, and Gage Carr all lost their opening round matches, won the second bouts, but fell in their final match of the day on Friday. Sam Cavigielli and Mitchell Klinkenborg both had two hard-fought matches. A-113: Jacob Vogel (39-5) scored 8.5 team points. A-126: Canyon Lowman (31-18) place is unknown and scored 3.0 team points. A-138: Max Lamer (26-17) place is unknown and scored 1.0 team points. A-160: Gage Carr (30-14) place is unknown and scored 1.0 team points. A-182: Sam Cavigielli (8-18) place is unknown and scored 0.0 team points. A-195: Mitchell Klinkenborg (12-13) place is unknown and scored 0.0 team points. The Dell Rapids Quarrier wrestling program will be sending seven wrestlers to state next weekend after they finished in the top four of their respective weight classes at the Region 1A tournament on Saturday, February 16th. Dell Rapids finished sixth as a team with a total of 78.5 points. Madison won the Region 1A team title with 158.5 points. Brookings was second with 146.0 points, and Watertown placed third with 104.5 points. Jacob Vogel won the 113-pound weight class and will take a 37-5 record into the state tournament. Gage Carr (29-12) had a third place finish. Andrew Weiland (31-8), Canyon Lowman (30-16), Max Lamer (25-15), Sam Cavigielli (8-16), and Mitchell Klinkenborg (12-11) all had fourth place finished in their respective weight classes. The 2019 South Dakota State A Wrestling Tournament will be held on Friday, February 22nd and Saturday, February 23rd at the Rushmore Plaza Civic Center in Rapid City. 106 – Andrew Weiland (31-8) placed 4th and scored 8.0 team points. 113 – Jacob Vogel (37-5) placed 1st and scored 21.5 team points. 126 – Canyon Lowman (30-16) placed 4th and scored 10.0 team points. 138 – Max Lamer (25-15) placed 4th and scored 9.0 team points. 145 – Zach McKee (25-14) place is unknown and scored 3.0 team points. 152 – Brayden Gee (25-16) place is unknown and scored 0.0 team points. 160 – Gage Carr (29-12) placed 3rd and scored 11.0 team points. 182 – Sam Cavigielli (8-16) placed 4th and scored 8.0 team points. 195 – Mitchell Klinkenborg (12-11) placed 4th and scored 8.0 team points. 285 – Lincoln Richeal (8-5) place is unknown and scored 0.0 team points. 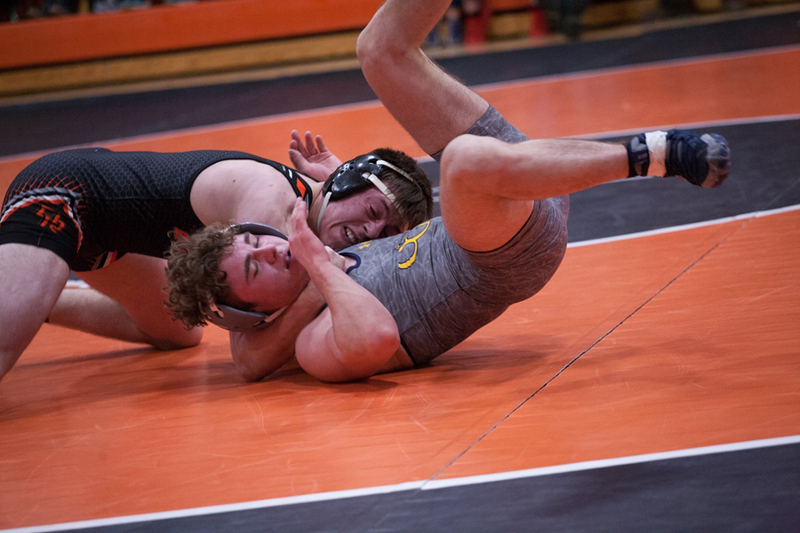 After having to reschedule their final home meet of the season, the Dell Rapids Quarrier wrestling team won two duels on Saturday, February 9th. The Quarriers defeated Sioux Falls Roosevelt 42-30 and also defeated Sioux Falls Lincoln 48-24. Max Lamer was recognized on Senior Day as the lone senior wrestler for the 2018-2019 Quarriers. Ella Lueders was also recognized for her contributions to the wrestling program as a senior statistician. Jacob Vogel, Canyon Lowman, Lamer, Zach McKee, Gage Carr, and Mitchell Klinkenborg all earned two victories on the afternoon. Dell Rapids will now prepare for the Region 1A tournament will be held at Sioux Falls Roosevelt High School on Saturday, February 16th. The Dell Rapids Quarrier wrestling team went 1-3 in a round robin dual at McCook Central High School in Salem on Tuesday, February 5th. Dell Rapids fell to Parker 42-36, fell to Canton 67-12, and fell to McCook Central/Montrose 42-38. The Quarriers did beat Vermillion 46-36. Individually for Dell Rapids, Jacob Vogel went 4-0. Andrew Weiland, Jace Entringer, Canyon Lowman, and Zach McKee all finished 3-1. The Quarriers will host their final home meet of the season on Thursday, February 7th. This will be senior night and the matches can be seen on Big Sioux Media. The Dell Rapids Quarrier wrestling team placed ninth out of 15 teams Saturday, January 26th at the Les Tlustos Tournament in Brookings. Dell Rapids finished with a team score of 100.5 points. Pierre won the team title with 209.5 points. Rapid City Central was second with 187.0 points, and Mitchell placed third with 170.0 points. Seven wrestlers for the Quarriers placed in the tournament. Andrew Weiland and Jacob Vogel placed second in their respective weight classes. Gage Carr placed third. Canyon Lowman and Brayden Gee both had a fourth place finishes. Caden Miller and Trevon Cross had eighth place finishes. Dell Rapids will travel to Madison on Tuesday, January 29th for the fifth and final Dak-XII meet of the year. 106: Andrew Weiland (21-5) placed 2nd and scored 21.0 team points. 113: Jacob Vogel (29-5) placed 2nd and scored 21.5 team points. 120: Caden Miller (5-11) placed 8th and scored 1.0 team points. 126: Canyon Lowman (23-13) placed 4th and scored 18.0 team points. 132: Sage Ottoson (2-5) place is unknown and scored 0.0 team points. 138: Trevon Cross (6-8) placed 8th. 138: Max Lamer (21-13) place is unknown and scored 4.0 team points. 145: Zach McKee (19-12) place is unknown and scored 0.0 team points. 152: Brayden Gee (23-14) placed 4th and scored 19.0 team points. 160: Gage Carr (23-9) placed 3rd and scored 16.0 team points. 182: Sam Cavigielli (3-8) place is unknown and scored 0.0 team points. The Dell Rapids Quarrier wrestling team picked up two more dual wins on Tuesday, January 22nd. Dell Rapids wrestled Tri-Valley and West Central in another Dak XII meet held at West Central High School. The Quarriers defeated Tri-Valley 60.0 – 18.0. Dell Rapids then defeated West Central 42.0 – 36.0. Andrew Weiland, Jacob Vogel, Canyon Lowman, Max Lamer, Zach McKee, Brayden Gee, Gage Carr, and Mitchell Klinkenborg all earned two wins on the night. Dell Rapids will be in Brookings on Saturday, January 26th for the Brookings tournament. The Dell Rapids Quarrier wrestling team continued their great week with a 3rd place finish at the Dak XII Conference Tournament in Vermillion on Saturday, January 19th. Dell Rapids finished with a total of 113.5 team points. Canton won the team title with 258.5 points, and Madison was second with 166.0 points. The Quarriers had two wrestlers come home as conference champions. Jacob Vogel won the 113-pound weight class, and Gage Carr won the 160-pound weight class. Andrew Weiland, Canyon Lowman, and Aiden Moore all placed third in their respective weight class. Max Lamer had a fourth place finish. 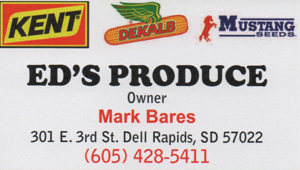 Dell Rapids will travel to Hartford/West Central High School for their next Dak XII meet on Tuesday, January 22nd. 106: Andrew Weiland (16-4) placed 3rd and scored 16.0 team points. 113: Jacob Vogel (22-4) placed 1st and scored 23.0 team points. 120: Caden Miller (7-9) place is unknown and scored 3.5 team points. 126: Canyon Lowman (17-10) placed 3rd and scored 16.0 team points. 138: Max Lamer (16-11) placed 4th and scored 13.0 team points. 145: Zach McKee (15-10) place is unknown and scored 4.0 team points. 152: Brayden Gee (15-12) place is unknown and scored 4.0 team points. 160: Gage Carr (15-8) placed 1st and scored 24.0 team points. 182: Sam Cavigielli (5-8) place is unknown and scored 0.0 team points. 220: Aiden Moore (4-7) placed 3rd and scored 10.0 team points. The Dell Rapids Quarrier wrestling team picked up for dual wins during the week. The Quarriers traveled to Dakota Valley High School on Tuesday, January 15th and hosted a triangular on Thursday, January 17th. On Tuesday Dell Rapids earned a 60-18 win over Dakota Valley and a 54-21 win over Elk Point-Jefferson. On Thursday, the Quarriers got a 51-28 win over Sioux Falls O’Gorman and 49-18 win over Garretson. Dell Rapids will travel to Vermillion on Saturday, January 19th for the Dak XII Conference Tournament. The Dell Rapids Quarrier wrestling team had a good showing at the Tri-Valley tournament on Saturday, January 12th at Tri-Valley High School. Dell Rapids finished third as a team with 147.0 points. Winner took the team title with 250.0 points, and Kimball/White Lake/Platte-Geddes was second with 228.5 points. The Quarriers also had eight of their 12 wrestlers place in the tournament. Andrew Weiland and Jacob Vogel each won their respective weight classes. Max Lamer and Gage Carr both had a 3rd place finish. Zach McKee and Braydon Gee had fourth place finishes. Caden Miller placed 5th, and Canyon Lowman placed 6th. Dell Rapids will be at Dakota Valley High School on Tuesday, January 15th for another Dak XII meet. 106: Andrew Weiland (11-3) placed 1st and scored 28.0 team points. 113: Jacob Vogel (17-4) placed 1st and scored 29.5 team points. 120: Caden Miller (4-6) placed 5th and scored 15.0 team points. 126: Canyon Lowman (12-9) placed 6th and scored 8.0 team points. 132: Weston Mason (1-3) place is unknown and scored 4.0 team points. 138: Trevon Cross (0-2) place is unknown. 138: Max Lamer (12-9) placed 3rd and scored 18.0 team points. 145: Zach McKee (13-8) placed 4th and scored 13.5 team points. 152: Brayden Gee (13-9) placed 4th and scored 14.0 team points. 160: Gage Carr (10-8) placed 3rd and scored 17.0 team points. 182: Sam Cavigielli (1-4) place is unknown and scored 0.0 team points. 220: Aiden Moore (1-3) place is unknown and scored 0.0 team points. The Dell Rapids Quarriers hosted the Madison Bulldogs in a wrestling dual on Tuesday, January 8th. Madison won the dual by a score of 49-24. Five wrestlers earned victories in the meet. Dell Rapids will participate in the Tri-Valley tournament on Saturday, January 12th.